Don't forget our monthly online business meeting Tuesday, April 4 at 7pm. Don't forget our monthly online business meeting Tuesday, May 2 at 7pm. The MCC Cosplay and Geek Culture Club is soliciting GMs to run games at their upcoming mini con! It's Monday, March 27th from 1pm-5pm. GMs get free admission and get to share their love of games! Looking for board games, card games, RPGs, you name it. One of the organizers is Midwest GameFest's 2016 Cosplay Guest of Honor, Gwen Rose of Legendary Rose Cosplay! Let's help make this event a success for one of our own! When: Monday, March 27th from 1:00 p.m. to 5:20 p.m.
Who: MCCKC Cosplay and Geek Culture Club. There will be board games, card tournaments, role-playing events, cosplay and more. $2 fee for students and a $4 fee for non-students (cash/small bills only). Volunteers and game runners get in free. The money raised goes toward the club so that they can run more events like this. 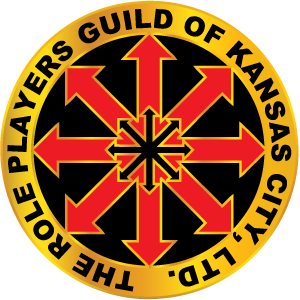 KantCon, Kansas City's storied summer-time tabletop game convention, is rapidly approaching this July 14-16 at the Overland Park Convention Center! Get great savings until the end of March with Early Bird Registration! Early Bird Ticket prices are staying flat this year, but Pre-Registration tickets are going up a bit. Early Bird Packages come with great items like KantCon dice, dice bags, miniatures, t-shirts, and more. Prices start going up on April 1st after the Early Bird Specials end, so grab yours today. Paid RPGKC members get a discount at the door, but the Early Bird discounts let you save even more! Head on over to get in on the savings today! 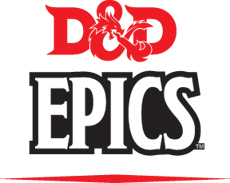 Epic STL is a large D&D Adventurer's League event that promotes tabletop gaming in all its forms in and around St. Louis, MO. Tier 1 - 3 players welcome! There will be seats for anyone with a character from levels 1-16! Games before and after the Epic. The flying galleon Thunderbound descends on Beregost, unleashing the wrath of the cloud giants! To save the town from annihilation, heroes from far and wide must awaken the lost machine entombed under Durlag’s Tower. Dare you board the Ark of the Mountains and do battle in the burning skies? 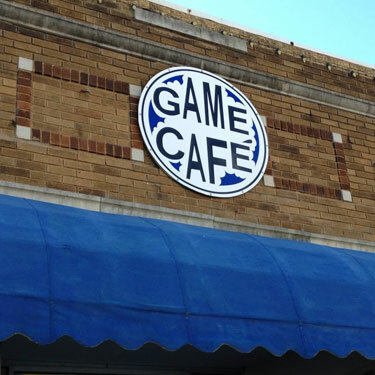 Our monthly Game Day is Saturday, March 11, 2017 at Game Cafe, located in Independence (map). Come out and join us as we play some games! Slots run from 10am-2pm, 2pm-6pm, 7pm-11pm.